$203,706: NCHA Non-Pro Derby Champion; 9th, NCHA Open Super Stakes; Polo Ranch Open Classic Champion; Gold Coast 4-Year-Old Non-Pro Champion; Suncoast Winter Non-Pro Classic Champion; Polo Ranch Open Derby Res. Champion; Brazos Bash Non-Pro Classic Res. Champion. 2001 Smart Little Norman, g. by Smart Little Lena. $50,948: split 4th, PCCHA Spring Open Classic (Co-Reerve Champion Open Gelding); finalist PCCHA Spring and Del Mar Open Derbies; 6th, PCCHA Spring Open Classic; finalist NCHA Super Stakes Amateur Classic twice; NCHA $2,000 Limited Rider Co-World Champion; PCCHA $10,000 Amateur Reserve Champion; 3rd, NCHA $10,000 Amateur Top Ten. 2002 Sweets Smart Girl, f. by Smart Little Lena. Dam of– SWEET CAT RG. $25,522: money-earner, NCHA Open Derby. 2003 Cats Remedy, f. by High Brow Cat. NCHA money-earner. Dam of– Trinitys Full. 70 points & $9,820: AQHA Reserve World Champion Team Penning & Ranch Sorting; Open & Amateur ROM. Reyplacement. $8,615: top 10, NCHA Limited Non-Pro Futurity. 2004 I Gots The Remedy, f. by Smart Little Jaebar. NCHA money-earner. Dam of- OZZUM MAN. $38,350: finalist, NCHA Non-Pro Derby. 2005 I CD Remedy, f. by CD Olena. 2005 Clever Resolve, c. by Smart Little Lena. $10,112: NCHA Open Fut. semi-finalist. 2005 That Cats Sweet, c. by High Brow Cat. 2006 Sweet Ichi, f. by Cat Ichi. 2006 Not Zactly Sweet, f. by Zack T Wood. $1,967 NCHA. 2006 See Spot Cut, g. by Smart Little Lena. 2007 Smooth Talking Cat, g. by Smooth As A Cat. $24,624 RCH: SDRCHA Open Breeders Futurity Reserve Champion; 4th, NRCHA Int. Open Derby, finalist Open. 2007 Sweet Lil Boonsmal, c. by Peptoboonsmal. 2007 Bet On Sweets, g. by Bet On Me 498. 2007 Smooth Lil Remedy, f. by Smooth As A Cat. $8,326: top 10, ID CHA Open Futurity. 2008 Pink Poison, f. by Peptoboonsmal. $1,608 NCHA. 2008 Sparkling Sweets, f. by Shining Spark. NRHA money-earner. 2009 Spoonful Of Sweets, c. by Hes A Peptospoonful. 2009 Remedy For Ichi, g. by Cat Ichi. 2009 Sweet Lil Kenzi, f. by High Brow CD. $1,579 NCHA. 2010 High Brows Sweet, g. by High Brow CD. 2010 Cr High Steppin Cd, g. by High Brow CD. 2010 A Cat Is A Remedy, c. by Smooth As A Cat. 2011 Mister Metallica, c. by Metallic Cat. $52,273: finalist in the NCHA Amateur and $100,000 Amateur Derbies; West Texas $100,000 Amateur Derby Champion, $50,000 Amateur Reserve Champion; “The Non-Pro” 4-Year-Old $100,000 Amateur Reserve Champion; 4th, 2016 Bonanza Classic $100,000 Amateur. 2011 One Time Remedy, g. by One Time Pepto. 2011 Cats Sweet Remedy, c. by Metallic Cat. 2012 Remedy Rocks, g. by Rockin W.
2012 This Cats Sweet, c. by This Cats Smart. $13,669: finalist, NCHA Futurity $100,000 Amateur; split 5th, NCHA Futurity $100,000 Sr Amateur. 2012 Reysilliant, f. by Dual Rey. 2013 A Sweet Remedy, f. by High Brow CD. 2013 Remedy For CD, g. by High Brow CD. $1,638: split 3rd, 2016 SWST RCHA Rode to Reno Limited Open Futurity. 2014 Metallic Cats Magic, c. by Metallic Cat. By GRAYS STARLIGHT (1984). $41,128: NCHA Bronze Award. Sire of 500 RGP money-earners, $12,604,648, and earners of 6,598 AQHA points, including STELLA STARLIGHT ($310,379: 5th NCHA Open Futurity), STARLIGHT GEM ($246,791: 3rd NCHA Non-Pro Futurity), A LITTLE STARLIGHT ($226,507: NCHA Open Super Stakes Champion), MAGNALIGHT ($206,497: NCHA $50,000 Amateur Co-World Champion), REMEDY FOR SWEETS ($203,706: Polo Ranch 4-Year-Old Open Derby Reserve Champion), SPOOKS DOC ($121,999: NCHA Non-Pro Co-World Champion), SAN STARGAZER ($198,034: PCCHA 4-Year-Old Open Cutting Stakes Co-Reserve Champion), STARLIGHT N DIAMONDS ($194,091: NCHA Non-Pro Super Stakes Classic Reserve Champion), DIAMOND J STARLIGHT ($189,270: NCHA Non-Pro Super Stakes Classic Champion). 2016 NRCHA #3 Leading Maternal Grandsire and a 2016 Equi-Stat Top Ten Leading Cutting Maternal Grandsire and a Top 15 All-Time Leading Reining Maternal Grandsire, including SMART SPOOK ($405,080: NRHA Open Futurity Champion; NRHA Open Derby Champion; FEI World Reining Masters Open & Restricted Open Champion twice; AQHA World Champion Jr Reining), WOOD I NEVER ($364,478: NCHA Open Super Stakes Co-Champion; NCHA Open Derby Champion; split 4th, NCHA Limited Non Pro Futurity), JEEPS POSI TRACTION ($343,306: NCHA Open Super Stakes Co-Reserve Champion; 4th, NCHA Open Derby & top 10, NCHA Non Pro Derby; top 10, NCHA Non Pro Finals; 3rd, Breeder’s Invitational Open Classic/Challenge). 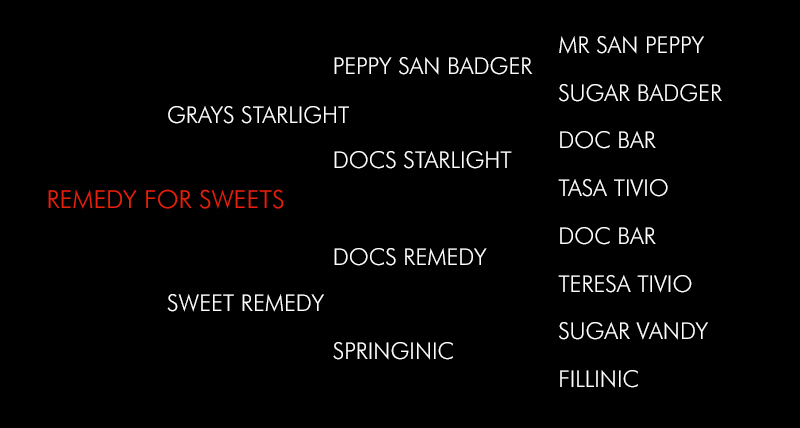 REMEDY FOR SWEETS (f. by Grays Starlight). Above. SWEET CASH ONLY (g. by Miss N Cash). $41,893: Select World Champion Cutting; finalist in the NCHA Non-Pro Super Stakes and Amateur Futurity; 8th, PCCHA Open Classic; 33.5 AQHA points; Amateur ROM..
TELL US SWEETS (g. by Lenas Telesis). $19,667: Abilene Western 3-Year-Old Champion; ACHA $25,000 Non-Pro Reserve World Champion. STARS N LIGHTS (c. by Grays Starlight). $14,824: NCHA Area 18 $10,000 Novice Reserve Champion; NCHA Certificate of Ability. CLASSY N SWEET (g. by Tangys Classy Peppy). $10,602: Tejon Ranch Non-Pro Futurity Reserve Champion; 5th, PCCHA Non-Pro Derby. STARLIGHT LITE. 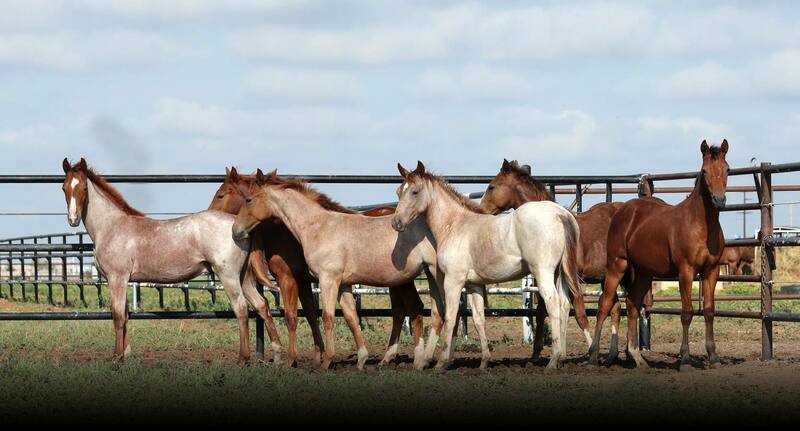 $25,645: West TX Open Futurity Co-Reserve Cahmpion. SUGAR CHIC OLENA. $20,230: finalist, NRHA Open Futurity. STARLITE WHIZ. $9,756: Reining by the Bay Limited Open Maturity Champion. Dam of CLAIM YOUR CASH. $10,878: Rocky Mtn Summer Slide Stallion Stakes Non-Pro Futurity Reserve Champion.